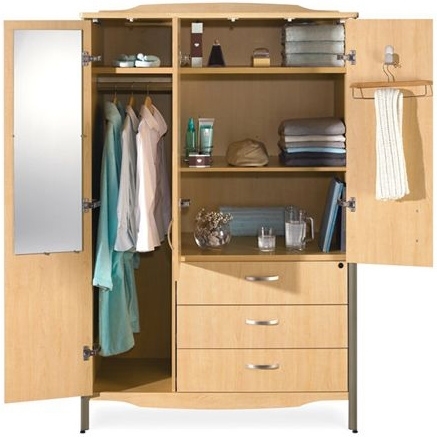 Sonoma Wardrobes exemplify the attention to detail that can turn a small space into a usable and enjoyable place to live. Interior door hooks provide a place to assist residents with daily clothing selection. A range of models provides a different mix of hanging, folded or drawer storage to better reflect the needs of men and women.